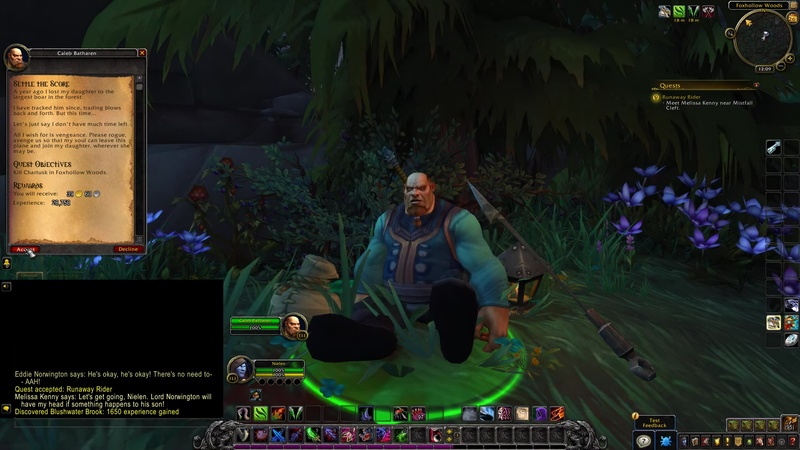 Caleb Batharen: A year ago I lost my daughter to the largest boar in the forest. Let’s just say I don’t have much time left. All I wish for is vengeance. Please , avenge us so that my soul can leave this plane and join my daughter, wherever she may be. 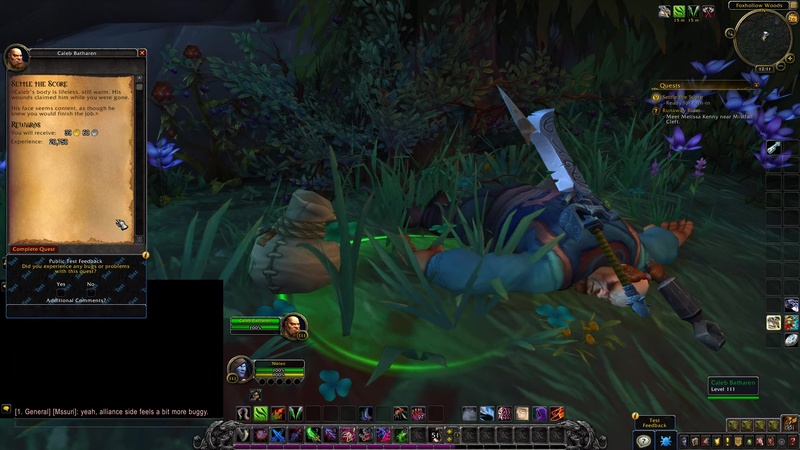 Kill Chartusk in Foxhollow Woods. 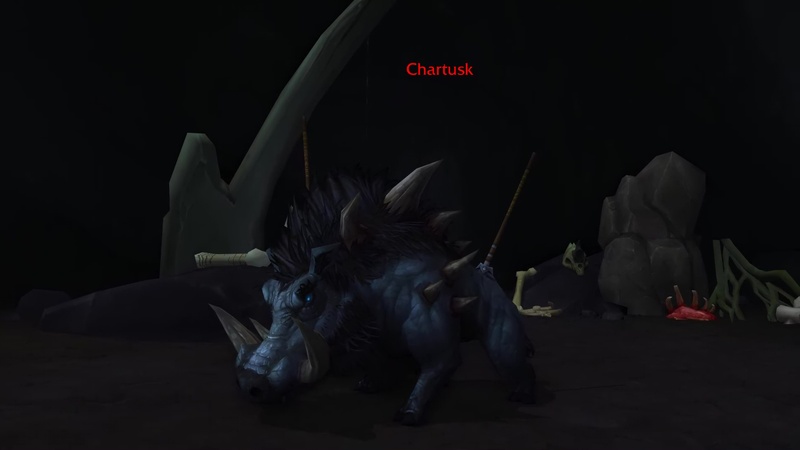 TIP: Chartusk is in a cave, on the lower north side of the Brokenbough Roost mountain.